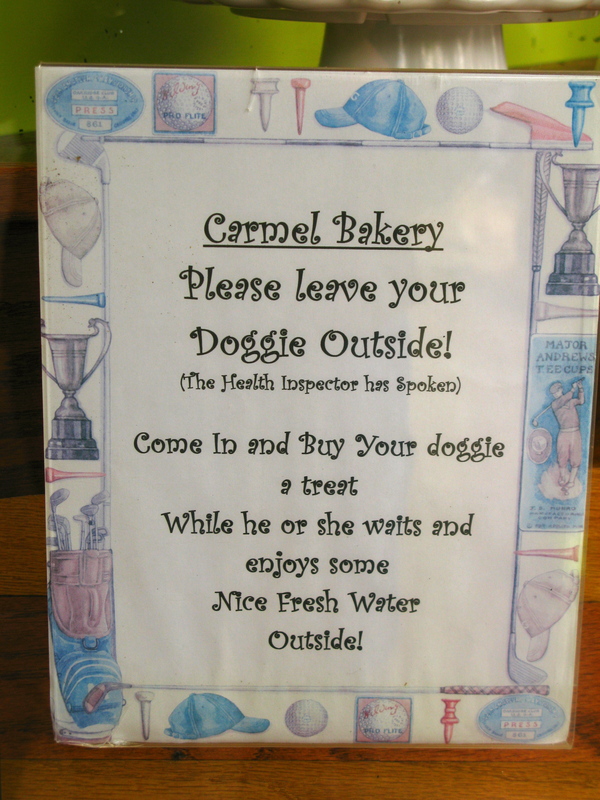 Carmel-by-the Sea is an exceptionally dog-friendly city. 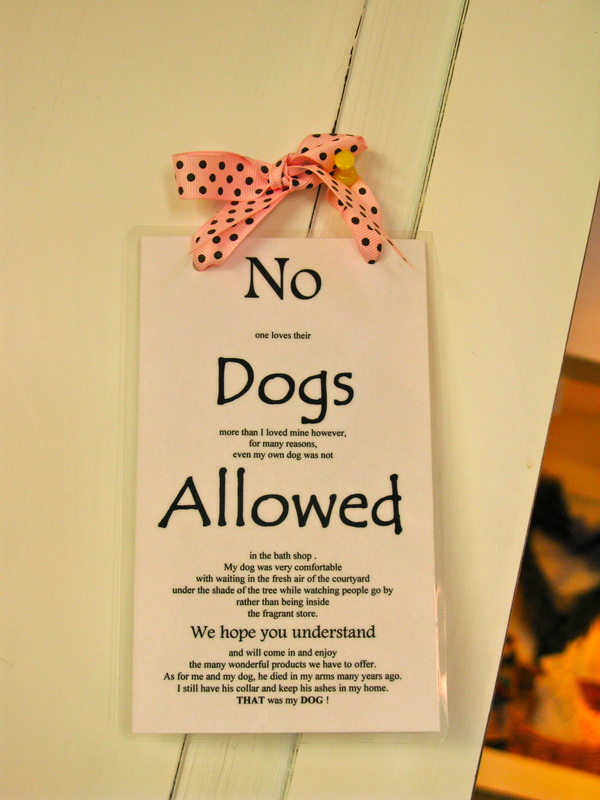 Most hotels allow dogs to stay with guests. 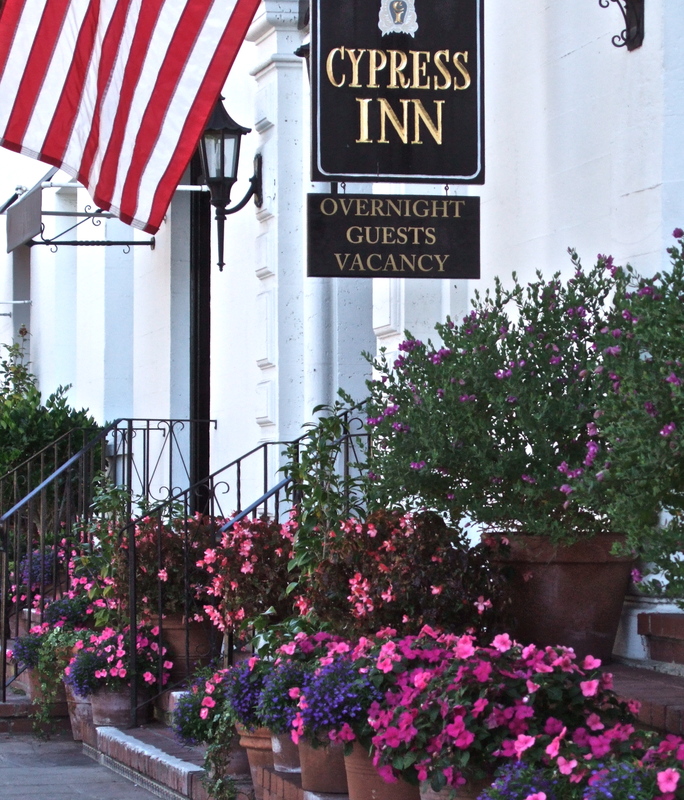 The Cypress Inn, near our house, allows dogs to accompany their owners to the cocktail lounge where an occasional “bar fight” breaks out.We have walked by and glanced into the windows of the living room , only to see owners and dogs comfortably listening to live jazz. 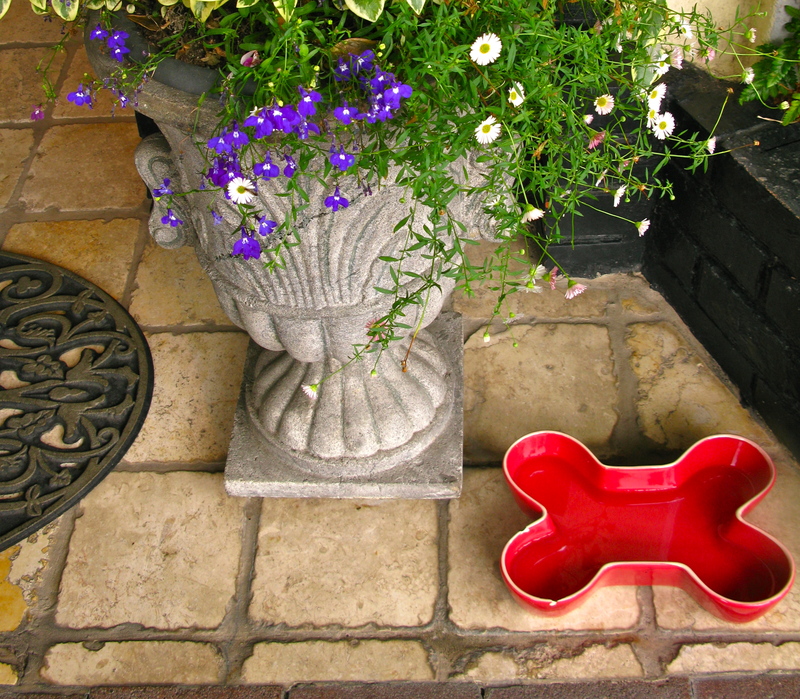 Savvy merchants place water bowls outside their shop doors for thirsty canines shopping with their families. 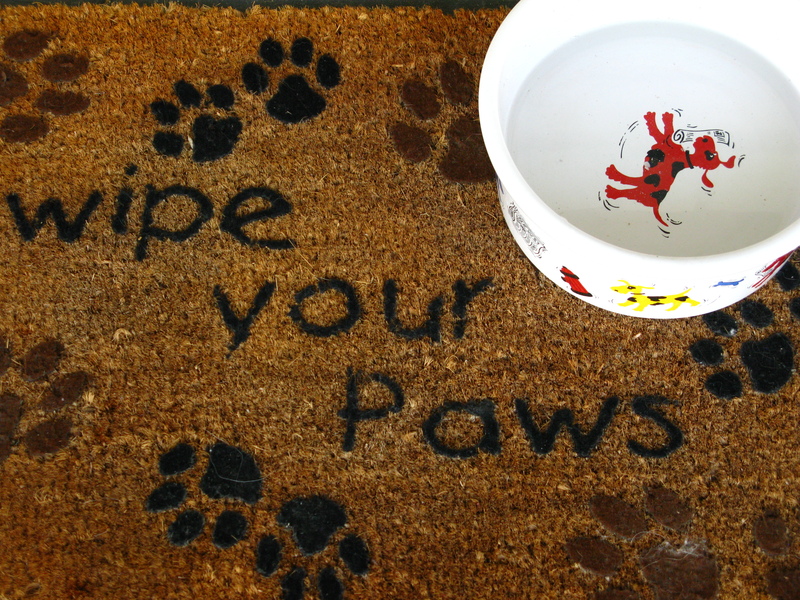 My favorite water bowl is outside Tiffany’s front door. 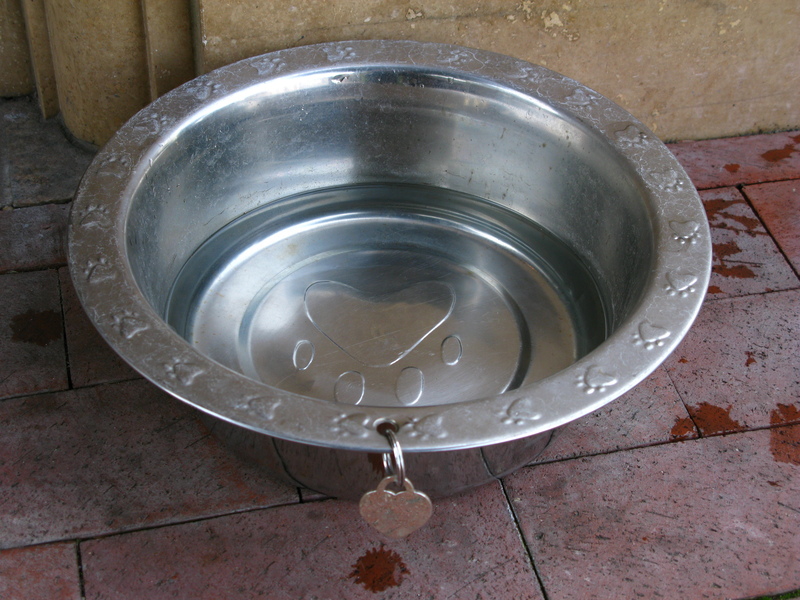 A dog tag hangs from the silver bowl. It reads “If found, please return to Tiffany’s ,New York City”. 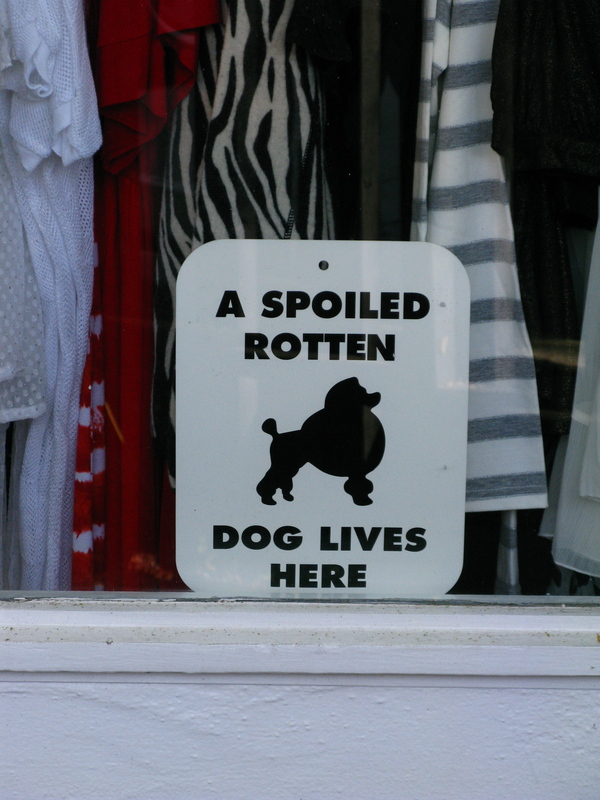 Shops allow dogs to accompany their owners into the store. 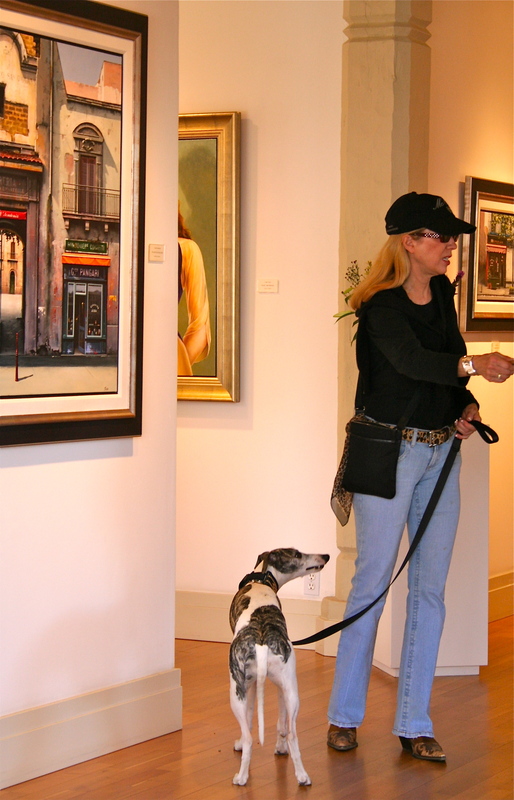 It can be a bit startling to see dog and owner in a fine art gallery shopping for that perfect oil painting to hang over the mantle at home. 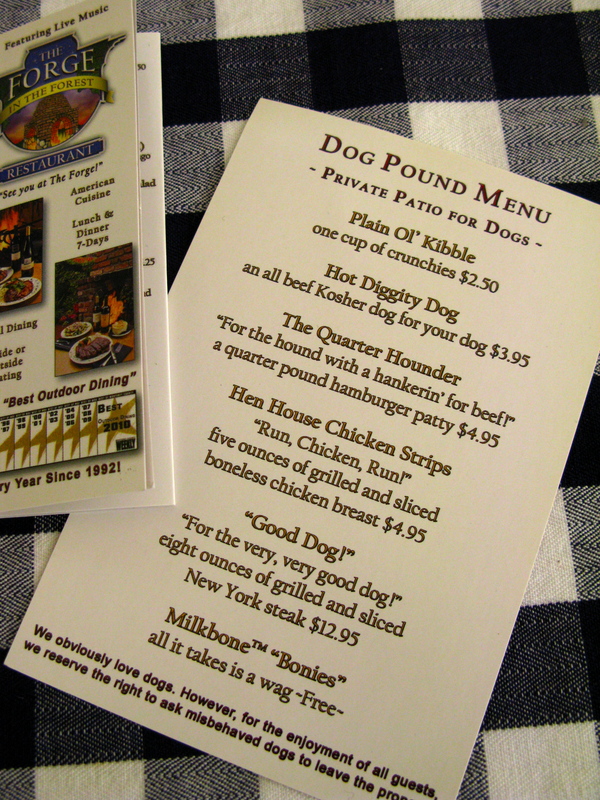 Almost all restaurants that offer outside dinning allow dogs in those areas . 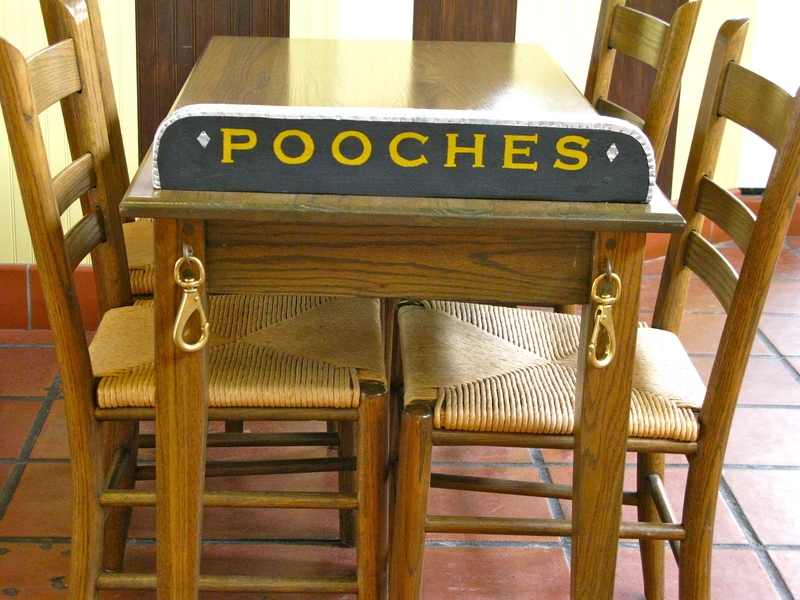 Some restaurants have areas adjacent to the main dining where dogs are allowed and accommodations are made for the owners convenience. 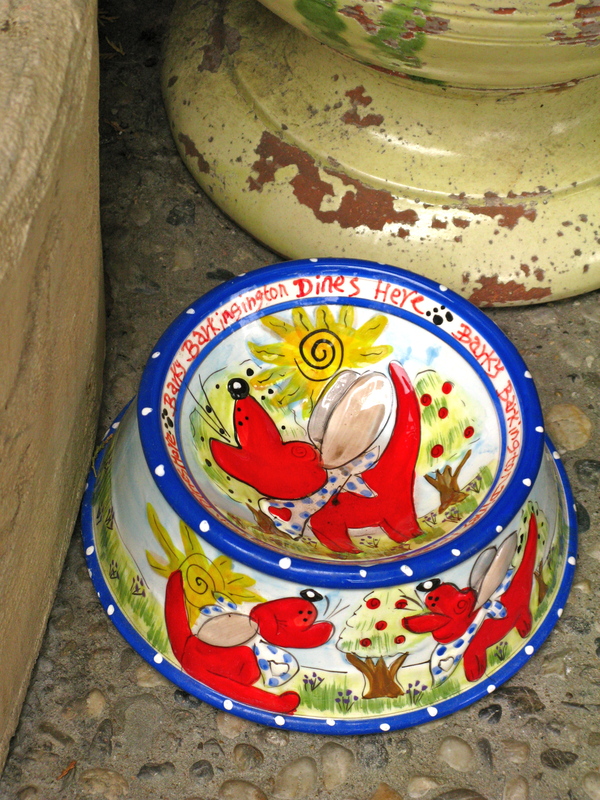 I was delighted to see such at area at one of our favorite lunch spots. 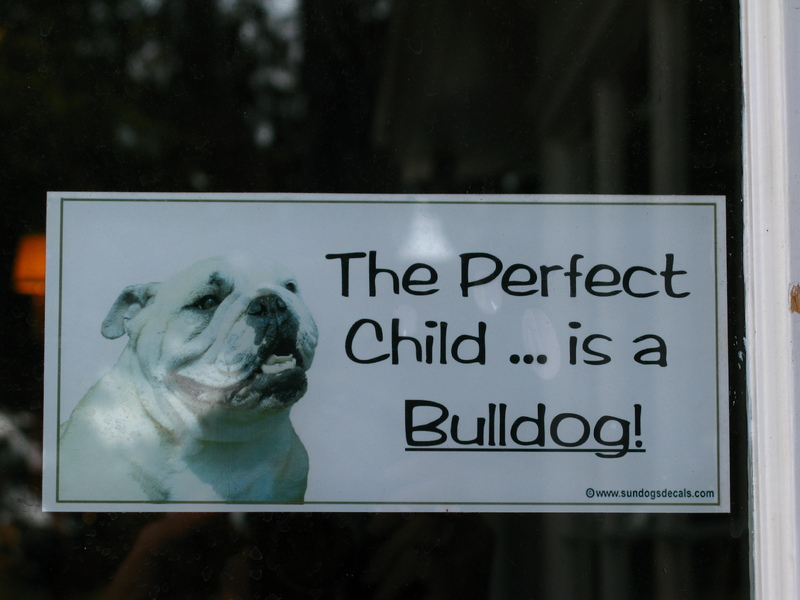 And everyone touts their “breed of choice”. 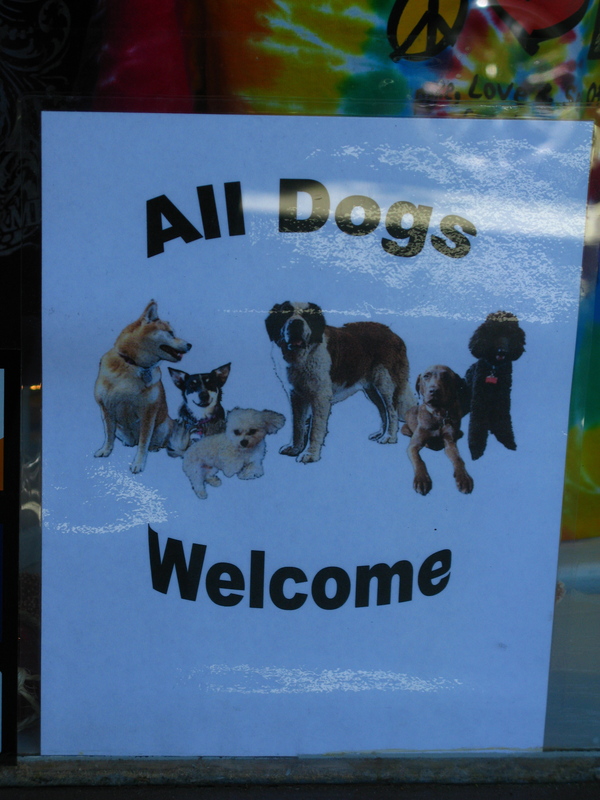 But even in Carmel, dogs are not welcome everywhere. Dog heaven! Even better since I bet the the dog is not required to wade, shoulder deep through 12 inches of snow to get there! Sounds like heaven! We love to take out dog with us when we go somewhere.